At some point, your body is bound to experience some sort of pain or soreness. If you are looking for a cream that will soothe your muscles and takeaway the pain consider Bengay or Biofreeze. Choosing between the two may not be easy. However, in this guide we’ve done the hard part for you. We look at each cream and what it offers. You can then make an informed choice based on this research. Over the years, Bengay and Biofreeze have become some of the most effective analgesics in the market, offering pain relief to various muscle groups. Each of them is applied topically. But, how do you choose which one to use? Which pain relief cream is better? This article delves into each of the analgesics, their working mechanism, effectiveness, and side effects to help you make an informed choice the next time you need muscle pain relief. Biofreeze vs. Bengay; which is better? Biofreeze utilizes its active ingredient, menthol, to relieve pain by stimulating the thermoreceptors on the skin, thereby blocking the pain sensation to the area. Menthol is an organic compound that comes from the combination of corn, mint and peppermint. It works by cooling the thermoreceptors in the affected area. Thermoreceptors are temperature-sensitive nerve receptors on the muscle that register pain and transmit the signals to the brain making you feel the pain. By blocking them, the message does not reach the brain. Therefore, you feel a temporary relief on the sore area. In addition to the main ingredient, this product contains silicon dioxide, water, glycerin, camphor, isopropyl alcohol, Carbomer, and triethanolamine among others. Bengay is a natural pain relief cream that is used to deal with various types of pain across the body. Developed by Dr. Jules Bengu’e in France, it is now made and sold by Johnson and Johnson. The main ingredient in the cream is methyl salicylate, camphor, and menthol. Methyl salicylate is an organic ester that comes from plants. In addition to the main ingredients, other ingredients include lanolin, carbomers, edetate disodium, stearic acid, purified water, potassium hydroxide and polysorbate 80. The ingredient in Bengay may cause several side effects. Most of the side effects are less severe and do not need the attention of a doctor. However, you may experience a few rare side effects that may warrant a visit to the doctor. The most common side effect is tinging of the skin at the point of topical application. The tinging sensation happens when the drug is working on neural receptors. Other people experience some itching, mild irritation and reddening of the skin or dry skin. These symptoms disappear after a few hours. Any of these symptoms are life-threatening. If you or a friend experiences any of these conditions, call emergency services or rush them to the ER. You will feel different when using one topic cream in comparison to the other. Biofreeze works by cooling the area where there is soreness just as you would feel when you placed an ice pack on your skin. Given that thermoreceptors are in charge of transmitting pain messages, the cooling effect brings about immediate relief. Bengay, on the other hand, works by creating a warm sensation coupled with a cooling sensation when applied on the skin. The warm sensation is good at releasing tight muscles. 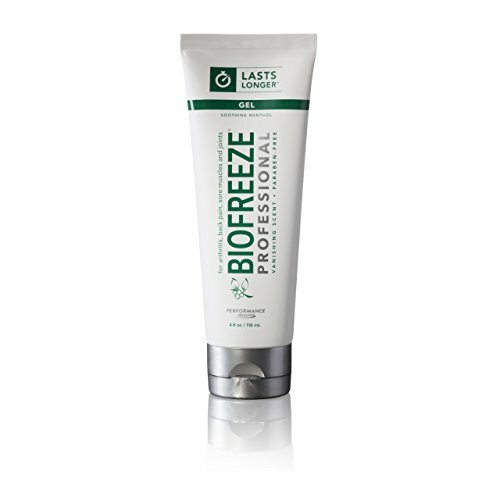 In terms of the effectiveness, Biofreeze soothes joint and minor muscle pains. Bengay treats minor pains and sprains on the back and the limbs. According to a study by University of North Carolina, chronic back pain is the most common type of pain that most people experience whether they are leading an active lifestyle or a sedentary one. Most back problems emanate from straining hard by arching the back in the cause of your daily activities. Other causes of back pain include sciatica and sacroiliac joint pain. Both of these types of pain cause discomfort and pain down your legs and hips. Both Bengay and Biofreeze are effective in offering relief from all these types of back pains. You need to apply the topical drugs to the affected area for about three times a day for a few days. However, if you find that the pain is not letting up with regular drug usage, do not change the drug but visit a doctor instead. There may be an underlying problem that might be causing unrelenting pain. Bengay is particularly good at dealing with myofascial pain syndrome. Go for it if you are sure that this could be the cause of the pain. Keep your creams away from the open fire. Both preparations may catch fire if they come into contact with it. When using any of these products, do not use other types of ointments, sprays, and creams. Some creams may contain ingredients that may interact with ingredients in either of the preparations. Pregnant women and lactating mothers should seek medical assistance before using tropical preparation. In essence, the drugs should be used n the first six months o pregnancy if necessary. It should not be used in the last three months due to the possible risks it poses to the unborn child. It is not known if the drug is passed to unborn children. The drugs are specifically meant for topical use. If accidentally ingested seek immediate medical assistance or call the Poison Control Center. Both Biofreeze and Bengay should not be offered to children under the age of 12 years without the direction of a professional physician. It should not be applied to children younger than two years of age. 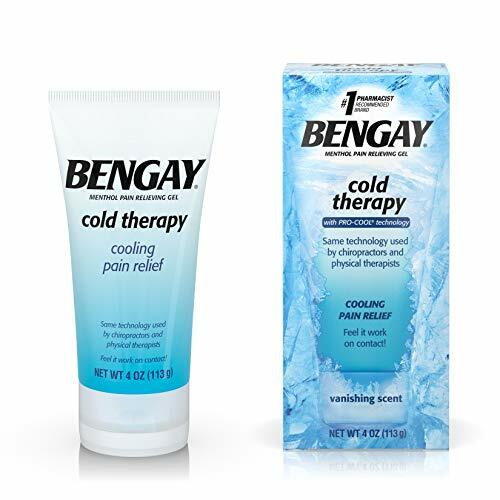 As for Bengay, do not use if you have arthritis. Both Bengay and Biofreeze may irritate your nose if you suffer from nasal polyps or growths in the nose. They should also be used with care on people with asthma and related respiratory problems. Avoid using the ointment immediately after taking part in activities that may heat the skin such as working out in the gym and taking a warm bath. Heat is known to increase the likelihood of getting some side effects especially if you are using Bengay. Ensure that the skin is cooled before applying the medication to the affected area. Do not heat the area where you have applied the medication with such things as a hot water bottle, tanning bed or a warm compress. If you must use these items, wait for at least thirty minutes for the ointment to have worked on the affected area. Bengay should not be used with devices or substances that are meant to increase the absorption of oils in the skin. This is because its main ingredient, methyl salicylate gets toxic is absorbed in large quantities in the body. Most of the time, it creates a severe burning sensation and may cause ulcers to form on the skin. In the same line, avoid applying lots of ointment or more than the prescribed times in a day. Should talk to your pharmacist if you suffer from any allergic reactions and are taking other ointments to deal with skin problems. Both Biofreeze and Bengay may interact with other compounds found in non-methol and camphor based tropical ointments. If you are looking for a cheaper solution to muscular pain, then Bengay is your choice ointment. It costs a fraction of what it costs to buy Biofreeze. However, if you are looking for a product you can use for all types of pain including arthritis and other joint-related pain, go for Biofreeze. It has very few contradictions and works well with all known conditions. Concerning the experience after application, Biofreeze carries the day here too. Its cooling effects offers relief to pain almost immediately. This is in contrast with Bengay that has both cooling and heating effect on the skin which may bring some discomfort. When looking at the effectiveness of the ointments, Biofreeze is known to offer relief for over four hours with Bengay almost giving relief for a similar period. If you are an athlete, bodybuilder or do jobs that make your muscles sore most of the time, you may need an ointment that you can use to apply onto the skin as many times as possible. Biofreeze again leads in low toxicity to the body even with repeated use. Methyl salicylate may cause harm if used regularly on the same spot. The obvious winner from our comparison is Biofreeze. It is effective and has low side effects. However, if you are dealing with minor pains, you can go for Bengay.